The Bank of England & Financial Services Bill 2015 offers an important opportunity to solidify the Government’s commitment to promote real diversity in the financial services sector within legislation. A properly functioning, healthy and genuinely consumer focused financial sector requires a broad range of different types and sizes of financial institutions operating in it to drive competition and financial resilience. This range of institutions includes customer owned financial mutuals, such as building societies and credit unions. Including a commitment to diversity of provider (by ownership model and size) in the 2015 annual remit letters to the Prudential Regulatory Authority (PRA) and the FCA (Financial Conduct Authority) would undoubtedly be helpful, but enshrining in legislation a requirement for the Bank of England (including the PRA) and the FCA to consider diversity of provider, as well as competition, would deliver a lasting commitment to the benefit of both consumers and the wider economy. Customer-owned organisations work on behalf of their generations of members - who are also their customers. The legal structure of customer-owned firms promotes long term decision-making, but restricts access to non-organic capital (externally issued capital instruments). Mutual organisations work to be profitable, but profit is not their primary motivation. These attributes contrast with the short term demands of shareholders; the drive to maximise profit and return on investment and the easier access to capital inherent in the structure of PLC banks. It is critical that regulators have these differences in mind when developing their regulation and when contributing to wider discussions. What is financial diversity and why is it important? If a single organisational structure was able to deliver everything that society requires from a retail financial services provider, there would be no case for diversity. Instead research has shown that allowing a diverse range of firms, by model and size, to provide financial services brings significant benefits for all concerned. There are two main benefits to financial diversity. Firstly, it increases the effectiveness of competition: as firms operate with different incentives and goals, they compete to win and serve customers in different ways. This can improve consumer choice and innovation. Secondly, it helps the system as a whole to be more resilient: when a shock such as the global financial crisis hits, firms with different approaches to running their business, for example raising funds, and different business models, such as customer owned mutuals, are affected in different ways, reducing the risk of the shock spreading across the entire financial system. Superior Service: Building societies consistently outperform banks on trust, fair treatment of customers and recommendation to friends and family. Building societies performed better than banks by an average of 9% on trust, 8% higher on fairness and 9% on recommendation (June 2014 to Sept 2015). Fewer Complaints: Building societies consistently generate proportionately fewer consumer complaints than banks. Data for the first half of 2015 from the Financial Ombudsman Service (FOS) shows that building societies generated 2% of new retail banking complaints and 11% of mortgage complaints. Of all complaints FOS received just 24% were upheld for building societies compared to 60% for banks. Competitive interest rates: Building societies offer more competitive fixed and variable mortgage interest rates to borrowers and have a lower net interest margin than the high street banks, indicating they are giving their customers a better deal overall. Building societies were rated 11% higher than banks for value for money by customers. More and different mortgage lending: Building societies have been much quicker than other lenders to increase their net mortgage lending. Between 2012 and the end of June 2015, building societies provided £52 billion net new lending. The rest of the mortgage market in total provided £7 billion net over the same period. Similarly societies serve areas of the mortgage market where the needs of borrowers are more complex, such as older borrowers, self-build and shared ownership. These consumers are less well served by the mainstream PLC banks. Greater inclusion: Credit unions, in particular, reach disadvantaged parts of the consumer credit market that are ill-served by PLC banks (and/or exploited by high cost providers ). That is why the Government is right to support the development of credit unions: inter alia they combat a market failure by the PLC sector. Better Conduct: Between 2010 and the end of September 2015 building societies accounted for 0.2% of all fines levied by the regulator, indicating better corporate behaviour than other groups in the financial sector. Stable Profitability: Building societies have tended to have lower but more stable levels of profitability than the major UK banking groups, reflecting their focus on offering members better rates and also the lower risk profile of building societies’ business. While banks have higher return on earnings (ROE) in good years they also have higher volatility of returns. Building societies’ earnings are more stable and tend to recover faster than banks. Lower Risk Appetite: They have also had a lower risk appetite than other lenders, which has been reflected in a considerably lower level of mortgage arrears through the financial crisis and higher z-scores (a financial stability metric). Efficient Operations: Building societies are efficient organisations, with cost to income ratios around 60%, similar to PLC banks. Why should financial diversity be recognised in law? In the past a ‘one size fits all’ approach to regulation has given rise to problems, for both smaller and customer-owned financial institutions. The impact can be magnified for organisations which belong to both categories. These problems can arise at both a domestic UK level and at European. Either the UK measures do not cater appropriately for mutuals or the UK fails to champion the necessary recognition of mutuals’ interests in European or international negotiations. Sometimes, after extensive advocacy changes can be made – but this cannot be guaranteed and it is more difficult than giving due consideration to diversity at the outset. There are two examples below relating to regulatory capital where smaller customer-owners financial institutions have experienced problems. • Firstly, at an international level, the changes to the definition of core capital in the Basel 3 framework were based on an exclusive emphasis on the PLC ordinary share, with mutuals’ capital included as a short and dismissive footnote. Through advocacy at an EU level, the European co-legislators were persuaded to include suitable modifications for mutual and cooperative banks. But these could have been present from the outset had consideration been given to financial diversity on all sides. • Secondly, at a domestic UK level, the FCA’s original proposals for regulating the sale of retail capital instruments were lacking in consideration of financial diversity and were inconsistent. After advocacy work the final version was amended, but during the process the capital raising plans of at least one small society was adversely affected. A diversity objective would have put the onus on the FCA to get it right first time. We are asking for an environment where all types of firms are able to operate on a fair basis, with regulations that are appropriate and proportionate to them, rather than one size fits all. 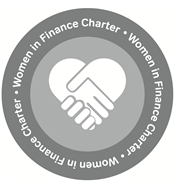 Enshrining this commitment in legislation will require Government and regulators to give the diversity of financial provider due consideration, looking at different business models and sizes of provider side by side. We believe that this will lead to a more appropriate and proportionate regulatory regime which in turn will lead to a more competitive financial environment in the future.